This Friday, March 23, call Governor Cuomo– (518) 474-8390 – and tell him you support an independent health impact assessment on fracking in New York. DEC chose not to do a health analysis for its fracking proposal, despite the growing body of evidence from across the country that people are getting sick from living near fracking operations. 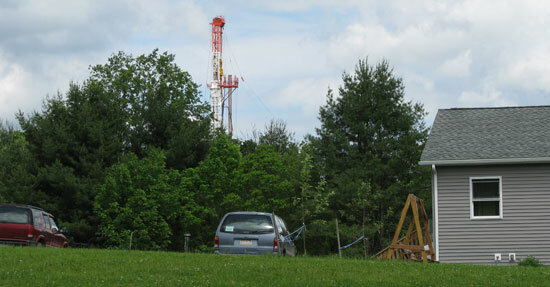 To fill this gap, the NYS Assembly has proposed mandating and funding an independent health impact assessment on fracking in the NY State Budget for 2013. My name is ______ and I live in _____. I am concerned that no one has evaluated how fracking will affect the health of NYS residents, and strongly support the state mandating and funding an independent health impact assessment on fracking in the NY State Budget. The NYS Assembly has included $100,000 in its budget resolution for a study by a school of public health within the state university system that would follow a model recommended by the Centers for Disease Control and Prevention. Prior to the study, the school would prepare a document outlining its plans and the public would have the opportunity to comment and suggest changes.